&#x1F3AE;【Game Boy Watch】Special designed for Children ages 4 to 12 years. GreaSmart's Newest Game Toy Watch with TOUCH SCREEN. Features: 20x2 System UI for analog watch and digital watch, build-in 10 Game, 3 Clock tools. 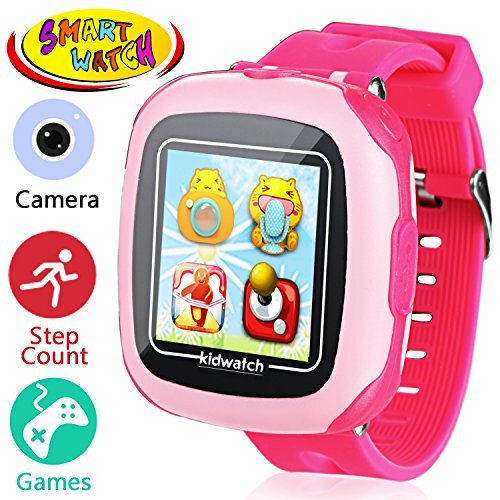 &#x1F4F7;【Funny Camera】Kids' smart watches are perfect for young photographers, this durable smartwatch can take tons of pictures; With lovely Edit Function, kids can graffiti their pictures in the Gallery. ⌚【Multi Functions】In addition to the alarm, timer and stopwatch, the watch has 2 new tools including a calendar feature and a calculator so your child can work out simple addition, subtraction, multiplication and division problems. Also, a pedometer is built-in to count your steps. &#x1F349;【10 Developmental Games】Bulid-in 10 Games, Star War, Panda Run, Fruit Ninja, Racing car, Whac-a-mole, etc. children can play through the touch screen and select the game, with parents control functions, you can limit the daily game time. &#x1F381;【Idea Gift】 Adorable nice giftbox with window display watch shape with cute quality screen protector. NOT cheap models! 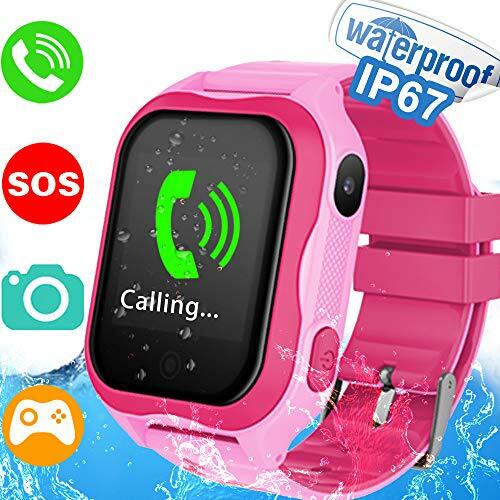 Perfect Halloween Christmas gitfs for friend kids child granddaughter grandson Nephew Niece Student Daughter Son.12/24H format selectable, compare other competitor kids smartwatch, more humanized.Features rechargeable Lithium Ion battery with long standby time around 7 days.